Indonesia, the world's fourth most populous country, is a vast archipelago of over 17,500 islands. Toward the eastern side, on the island of Papua New Guinea, is a region called Raja Ampat, meaning "Four Kings". Here, among hundreds of islands, warm waters offer some of the world's most spectacular scuba diving. Being so remote, reaching Raja Ampat is no easy task, as it requires three or more flights. Major international hubs are Jakarta and Singapore, with intermediate connections via Manado, Makassar or Denpasar, before arriving in Sorong, from where numerous liveaboards operate. The authors enjoyed an eight-day diving cruise aboard the Archipelago Adventurer II, and another stayed at a land-based resort. 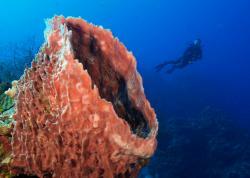 World class diving is available either by a land-based resort or a liveaboard. View of Raja Ampat islands, photo by Kevin Lee. 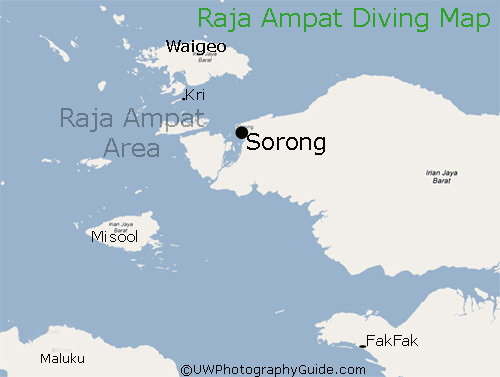 Map showing the major diving areas of Indonesia. Raja Ampat is considered a major epicenter of marine biodiversity, with over 537 corals (three fourths of all known), more than 700 kinds of mollusks and well over 1,000 species of fish inhabiting these waters. In fact, one famed ichthyologist, Dr. Gerald Allen, counted over 280 fish species on a single dive! It's no wonder this region is reputed to have the greatest diversity of marine life on earth and the abundance of underwater animals is truly staggering. Blue-lined snappers in Raja ampat, photo by Randy Harwood. The wobbegong shark is a fairly common sight, once you know where to look for them in the larger coral commies. The Epaulette shark is a small harmless carpet shark that appears to walk on the ocean floor with its fins. 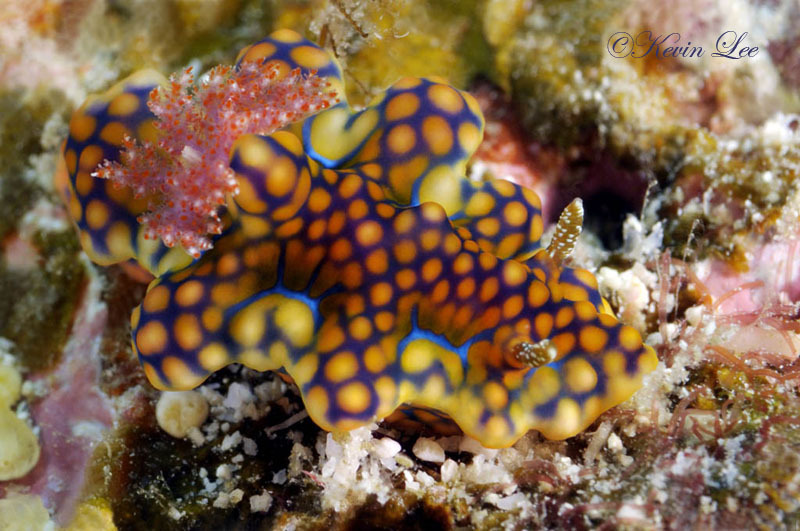 Nudibranchs - you will see tons of nudibranchs. 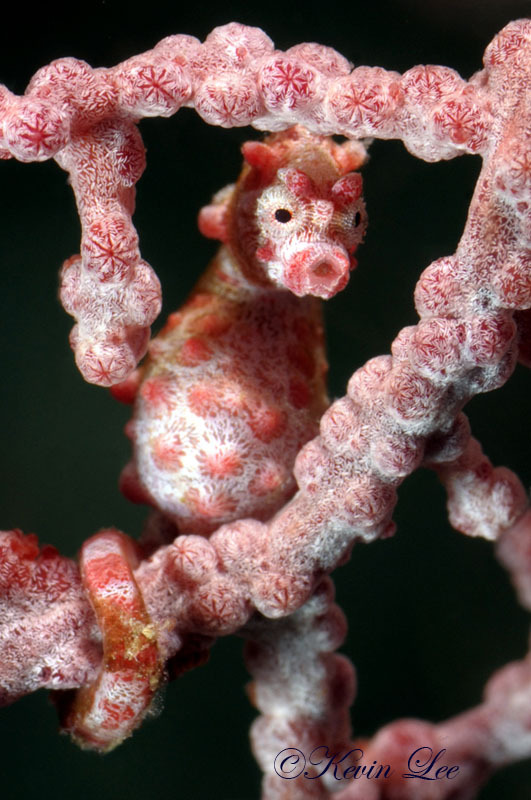 Pygmy Seahorses - There are several species of pygmy seahorses, and they are fairly common in the area. Bumphead Parrotfish - the bumpheads were fairly approachable, and divers have been able to swim in the herd while they are foraging. You also might see sargassum frogfish, sweetlips, large cuttlefish, and a few reef sharks, and much, much more. Lots of juvenile fish such as batfish, angelfish, butterflyfish, barramundi cod, sweetlips, parrotfish, etc. Although not a muck-diving location, you'll see a large range of macro subjects such as shrimps, eels, squid, jawfish, blennies, gobies, etc etc. Although there are some places with pelagics and mantas, many divers at Raja Ampat don't see a large number of bigger fish. Raja Ampat and Papua New Guinea both offer some of the best diving in South East Asia, if not the world, with incredible diversity. 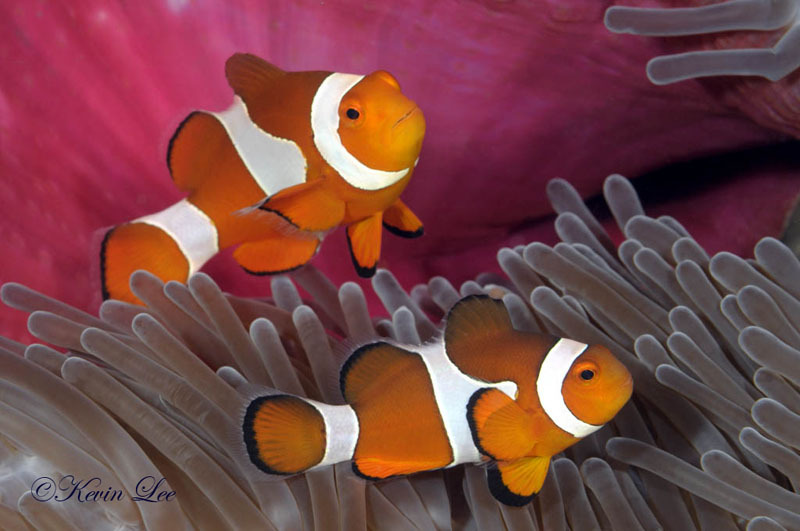 Both have great fish and corals. Raja may offer some more intense, colorful corals, where diving in Papua New Guinea you may have better luck with larger pelagics and more sharks. 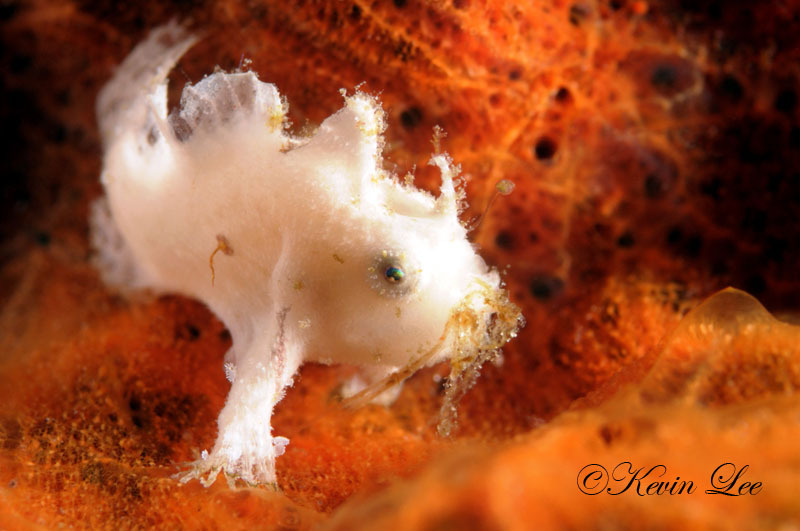 Other amazing animals that populate Raja Ampat are pea-sized frogfish and even smaller pygmy seahorses, which will challenge the skills of macro-photographers. 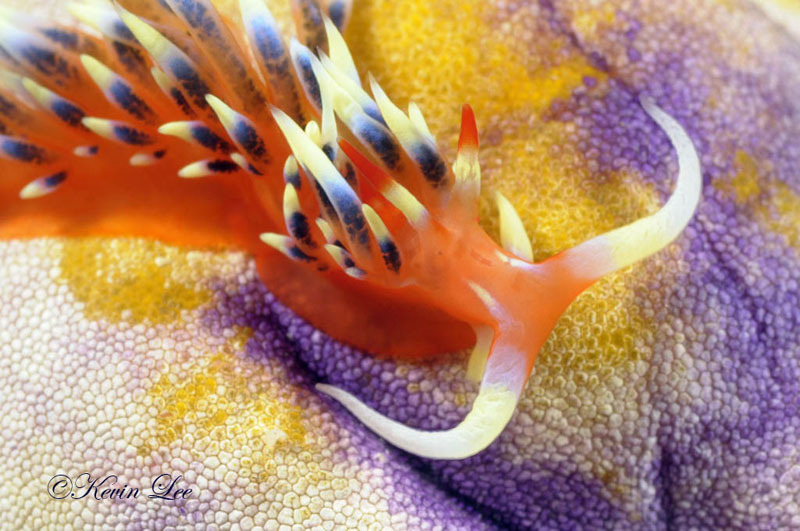 Nudiphiles will not be disappointed as a myriad of opisthobranchs can be found on virtually every dive. 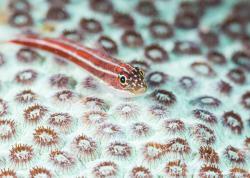 Uncommon critters like the mushroom coral pipefish are common. 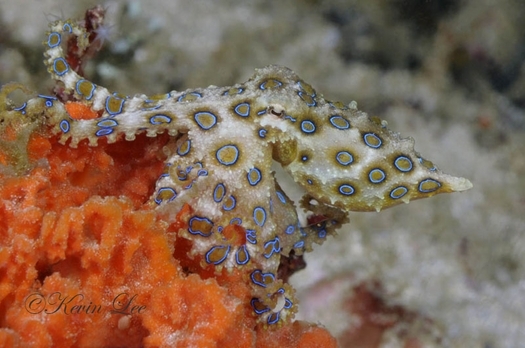 The fortunate diver may encounter the remarkable golf-ball sized Blue Ringed octopus. Five were seen on the author's trip. These highly venomous cephalopods rank as one of the most deadly animals on earth. A single bite from this diminutive octopus means quick and almost certain death. However, these creatures are rarely aggressive and present no danger to divers as long as a respectful distance is observed. 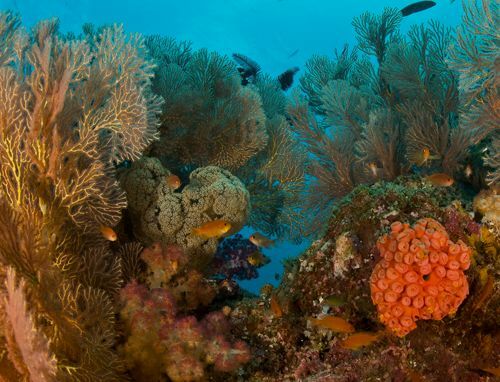 Beautifully colored reefs, a profusion of fish life, corals, sea fans and macro life. These sites are electric with life. 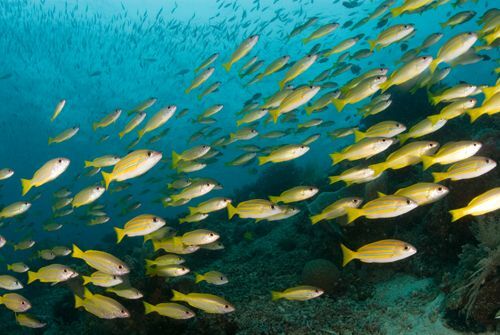 You can see clouds of fish like snappers, grunts and fuseliers. On the sandy bottom you might see larger groupers. Coming up to the coral reefs, each bommie is covered with clouds of fish. Bumpheads can also be seen here. There is a site near here where Mantas can sometimes be seen. "Hidden Bay" or "the passage" - in Between Gam island and Waigo - is a site with archerfish, and soft coral in the shallow mangrove area. 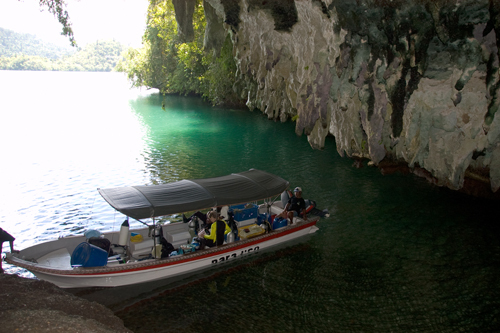 Misool is known for soft corals and it's shallow mangrove areas. 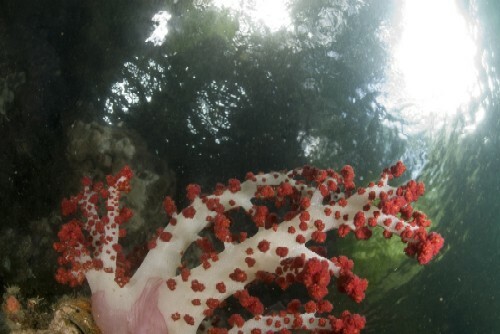 In the shallow mangrove swamps there is soft coral growing, which makes for some excellent wide-angle photography. There's also archerfish in the shallows, which look for insects out of the water, and can shoot water at insects by spitting, knocking them into the water. 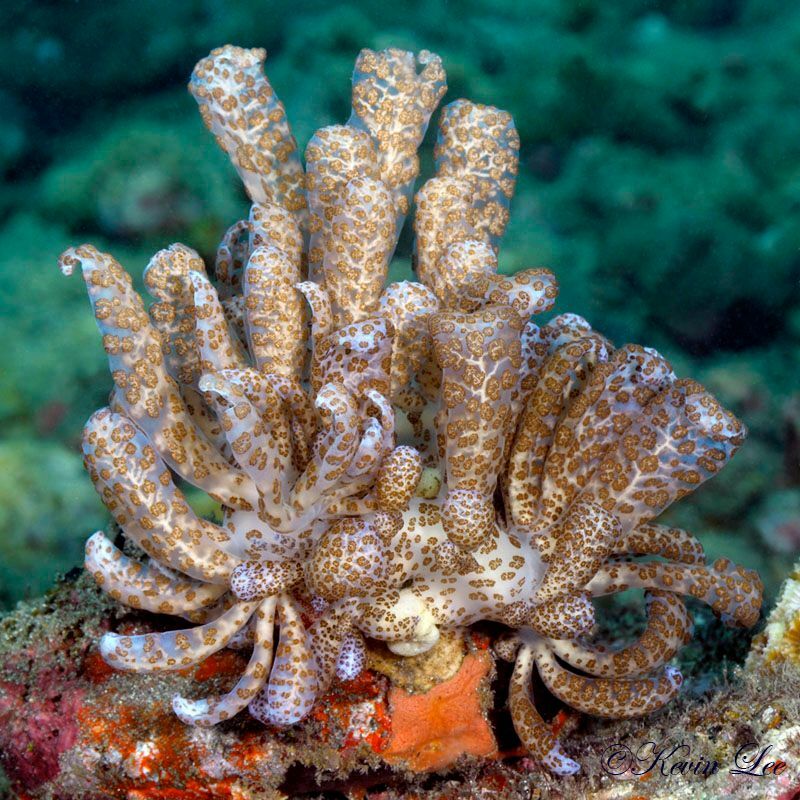 If you want great soft corals, make sure Misool is on your itinerary. There was a saltwater crocodile attack in the mangrove area of Misool in 2009, so please note that some boats are avoiding this area, check with your operator. Waigeo Island and "The Passage"
On the south side of Waigeo island is a famous dive site called "The Passage", also known as Kabui passage, where mangroves and soft coral exist in very shallow water. Overhanging trees meet sea fans here, and it is considered heaven for shallow water video and wide-angle underwater photography. Not all trips stop here - check with your particular trip. This area is quite remote, and not many boats go here. Visibility is usually only 15-30ft due to nutrients in the water, but the life here is supposed to be fantastic, with good soft corals and incredible fish diversity. Fak fak and Kaimana are also in this area. Blue-ring octopus. Photo by Kevin Lee. Underwater photography can be frustrating in Raja Ampat, because if you take a wide-angle lens on your dive, you will see incredible macro subject as well as beautiful wide-angle shots. And vice-versa. Be sure to enquire if a dive location is known for large sea fans, bumphead parrot fish, jacks, wobbegong, soft coral or if it is a manta cleaning station. 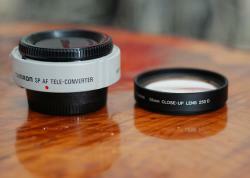 If any of those are true, put on your wide-angle lens, otherwise maybe shoot macro. 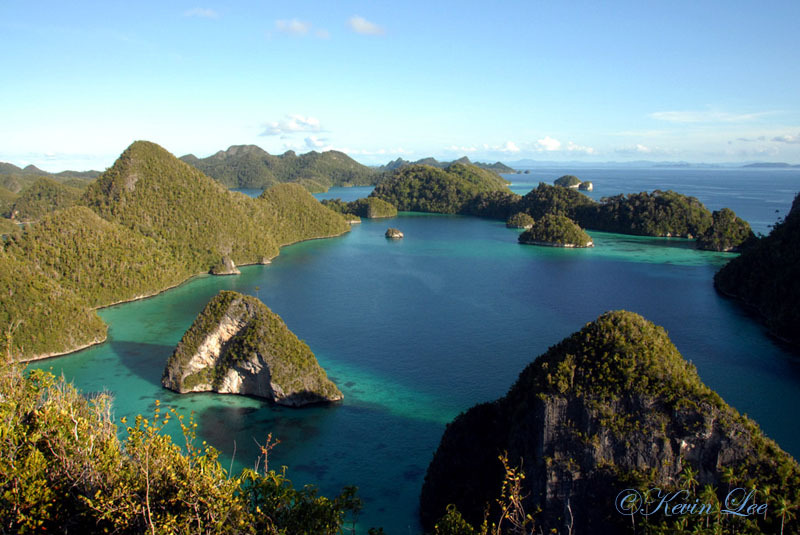 Raja ampat is quite difficult to get there. After getting to Singapore or Jakarta, you must transfer through Manado, and then you usually land in Sorong, West Papua. This often involved 2 overnight stays before you reach your final destination. October to April is considered the best diving season - where you'll find less rain and better visibility. Water temperatures are a consistent 80F~86F degrees year round and visibility generally ranges between 30 to well over 70 feet. June 15th to September 15th can be very, very windy and rough - monsoon season. Depending on tide movements, a few dives can involve strong currents, where reef hooks may be needed to tether in place. Otherwise, an open water ascent may be required. In such cases, boating tenders need to be vigilant to ensure safe retrieval of every diver. A safety sausage is highly recommended, so surface staff can easily identify distant, drifting divers. Most dive site conditions are generally calm, allowing maximum enjoyment of mantas, whales, dolphins, black-tip sharks, barracudas, sea turtles, corals and massive schools of fish. There is no lack of great subjects for the wide-angle photographer. When visiting the Four Kings, a land excursion may be offered i.e. hiking to the top of a small island. Take it. The trek can be sweaty and steep, but once on top, the stunning panorama of sweeping ocean, dotted with picturesque islets, will make you forget your burning legs and lungs! This analogy is apt for the entire trip. 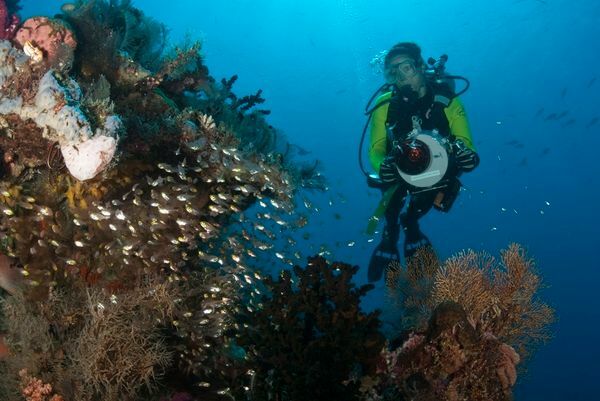 Although the journey to Raja Ampat can be somewhat arduous, you will be amply rewarded with fantastic underwater encounters and great experiences. 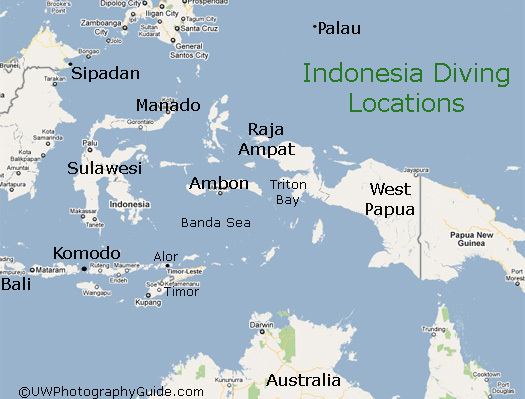 A simple web search of Indonesia scuba diving liveaboards will yield a useful list of operators. Submitted by Larry Polster (not verified) on Sun, 2010-05-09 03:49. Great website Scot, it just gets better and better. I refer your work to many of my diving friends.